You don’t need great plants to have an attractive garden. But having lovely views, a romantic ruin and, in the first place, loads of money, helps no end. Fortunately, Nymans has benefited from all three of the latter. To be fair, it probably has some great plants too; however, my knowledge of horticulture is only marginally better than my knowledge of nuclear physics. 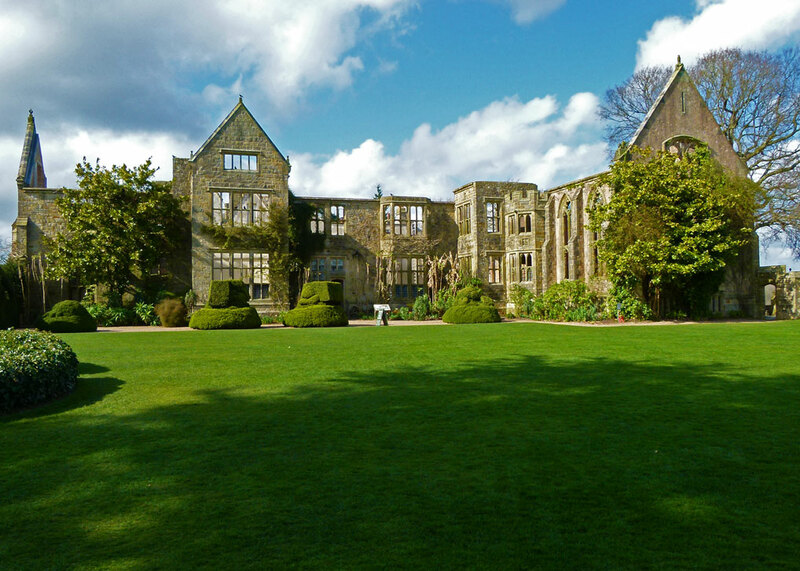 Nymans is a showcase National Trust property, once a home, now most famous for its cleverly crafted gardens, where formal and informal join and part, and climbers gently caress, like lovers’ limbs, the grey walls of a partly-burnt-out Gothic mansion. 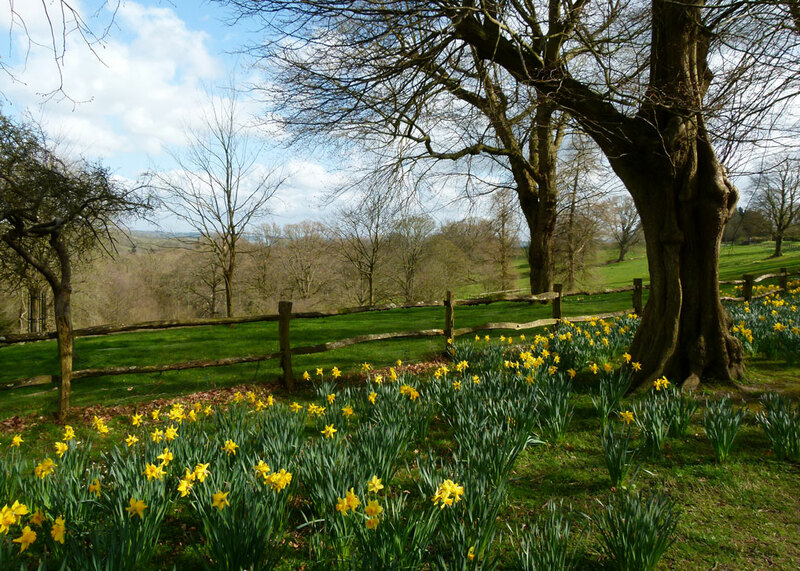 The location, just outside the village of Handcross in West Sussex, slopes away to the west, with soothing views over the beguilingly beautiful High Weald. Yet the A23 London to Brighton road snarls gently just 2 minutes to the east, while less than 10 miles to the north lies the architectural wonder that is Crawley and, just beyond that, the tranquillity of Airwick Gatport. I like Nymans very much; I really do. Nymans seems to have been a medieval estate named for an otherwise forgotten family called le Nynweman in the early 14th century. The property went through various hands, the Gatland family building a house on the site of the present one sometime in the 16th or 17th century, before the it all ended up in the 19th century with one George Harrington, who rebuilt the house and enlarged the estate. In 1890, the entire 600-acre plot was purchased by Ludwig Ernest Wilhelm Leonard Messel, originally from Darmstadt. The Messels have proved to be a talented bunch, and intriguing, so I’ve pieced together a bit about them, which I hope is broadly accurate; as is so often the case, details vary from source to source. Ludwig was the son of Simon Messel and Emilie Lindheim and he was born on 9 January 1847. In 1816, his grandfather, Aron, had founded a banking house in Darmstadt, which was then part of the Grand Duchy of Hesse, and in 1859 his father, Simon, died from typhoid fever, contracted after visiting, or having visited, the battlefield of Solferino. (The horrific Battle of Solferino was fought on 24 June 1859 between the French and Sardinians on one side, and the Austrians on the other; the Franco-Sardinian army won). Young Ludwig came to Britain in 1868 with his brother Rudolph, allegedly with gold coins sewn into their shirts with which to ease their early days in the country. Some say the Messels came here to avoid persecution, for they were a Jewish family. However, this makes little sense – Hesse seems to have been no more or less anti-Semitic than anywhere else in north-west Europe at the time, including the UK, and, anyway, according to one account, Rudolph went back to Hesse to serve as a stretcher-bearer in the Franco-Prussian War of 1870-71. Moreover, Ludwig and Rudolph’s brother, Alfred, became a successful architect in the newly formed German state after 1871. Perhaps, like the Rothschilds, the Messels hoped to establish an international family business. Perhaps they were simply seeking their fortunes, and looking for opportunities, as people have done before and since. There is also a village of Messel near Darmstadt; it does make me wonder whether the Messel family name was originally something else. Rudolph returned to the UK at some point and went on to concoct a career as a brilliant industrial chemist. Ludwig, meanwhile, got himself a job in the London branch of Seligman Brothers, a wealthy US merchant bank founded by the Seligmans who, incidentally, were born in Bavaria. The head of Seligman Brothers in London was Isaac Seligman, who had married Ludwig’s 18-year old sister, Lina, in c1869. Ach – so, maybe Ludwig’s trip to England was for no other reason than to learn banking under the watchful eye of his brother-in-law. Maybe Ludwig didn’t even intend to stay; but in 1871 he married Annie Cussans in Lambeth and in 1873 founded the stockbroking firm of L Messel & Company. The firm, incidentally, was bought by Lehman Brothers in 1986; at the time of writing (February 2018) there is still a Seligman Brothers registered in London. Ludwig and Annie had six children. The eldest son, Leonard Charles Rudolph, was born in 1872 and inherited Nymans when Ludwig died there in 1915. 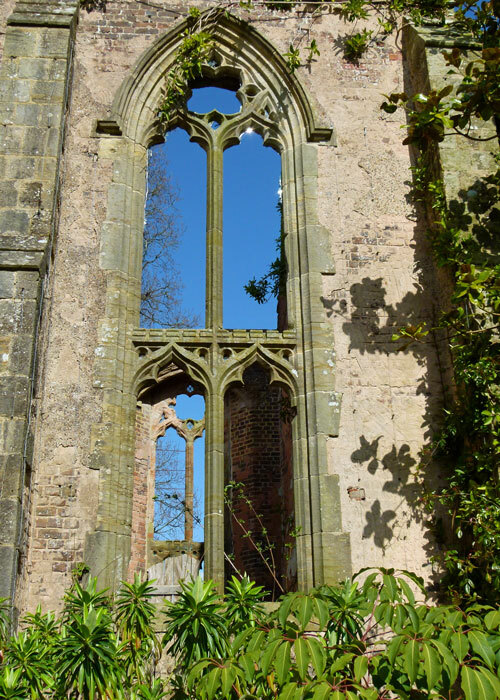 Ludwig bought Nymans, according to the National Trust, “to integrate himself into English society”. It’s a curious expression, given he’d lived here for 20 years, married an Englishwoman, established a successful business and had a family, all before he acquired his grand domain. Maybe he purchased Nymans simply because he wanted a big estate, loved gardening, and had amassed enough of a fortune to indulge himself. Maybe, like his wealthy Victorian contemporaries, he felt he needed a suitable country pad in which to fashionably entertain. Maybe, despite apparently being a British subject by this time, his German-Jewish background was unacceptable to some and having a nice property helped overcome some social prejudice. During WW1, when there was considerable anti-German feeling in the country, Ludwig’s son Leonard was barred from active service because of his German ancestry – a sad piece of hypocrisy, given the mixed heritage of many fighting men – and the British Royal Family, of course. Leonard, a colonel in the territorials, repaid this snub by unselfishly helping to train men of the East Kent Regiment (the Buffs) and carrying on an extraordinary full and helpful correspondence with many of the soldiers he knew serving at the Front. 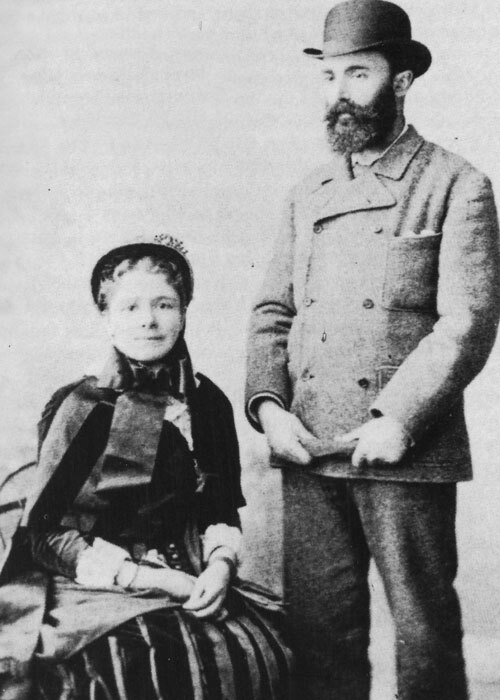 However, Leonard and his wife Maud Sambourne disliked their accommodation. 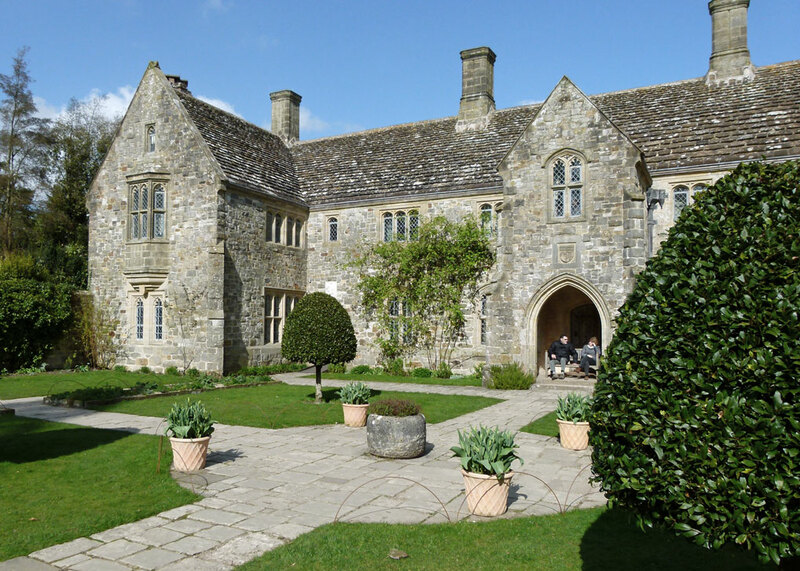 In 1923 they commissioned a replacement of the old house – described as a nondescript Regency residence – with a picturesque and quite realistic medieval-style stone manor house. It would not have looked out of place nestling in the Devon countryside. And here they lived, in a kind of sanitised pastoral idyll, generously opening the gardens to the public on many occasions. 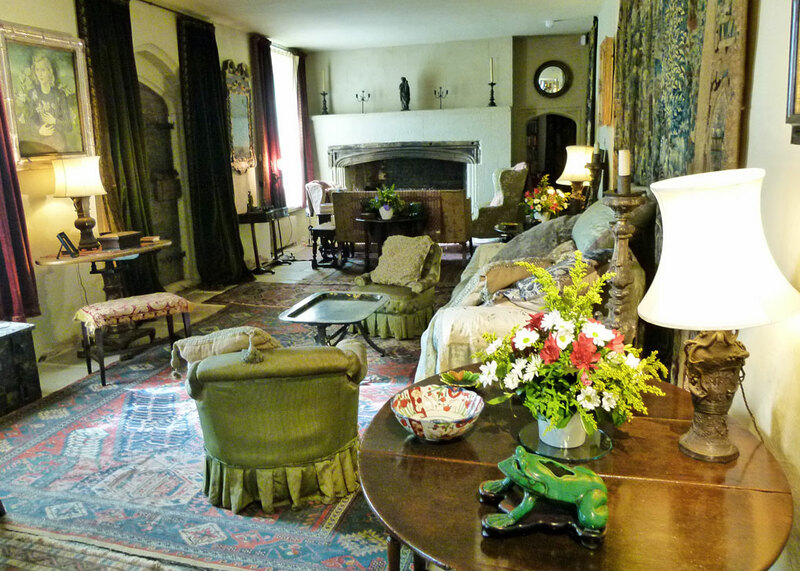 Their children, Linley, Oliver and Anne, spent part of their childhood at Nymans. Oliver became a famous theatre and film designer – a favourite of the actress Vivien Leigh, who wrote to him that “no other designer in the world will do”. During the Second World War, Oliver worked as a camouflage officer, among other things disguising pill-boxes. Anne was a great beauty and socialite who married barrister Ronald Armstrong-Jones. Their son, Antony Armstrong-Jones, was a successful photographer who married the Queen’s sister, Princess Margaret, in 1960 and was created Earl of Snowdon and Viscount Linley, of Nymans. Anne divorced Ronald in 1935 and married the 6th Earl of Rosse, becoming the Countess of Rosse. It all sounds perfect, and a long way from Darmstadt. Didn’t they do well? But you’re wondering what happened to the house, standing there like something from a Daphne de Maurier novel. 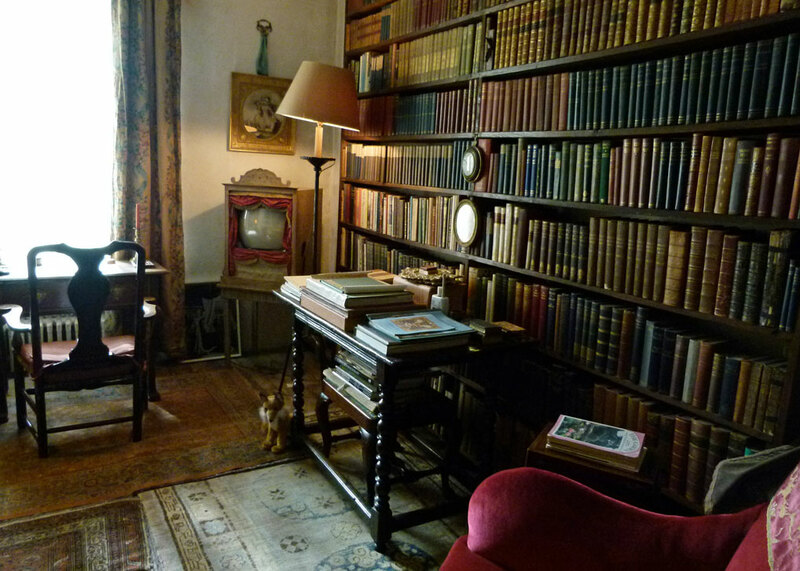 The tragedy struck on the night of Leonard’s 75th birthday in 1947, when fire broke out and swept through the building, consuming most of the Messels’ much-loved home and its contents, including their collection of antique botanical books. They moved out, but never abandoned the garden. 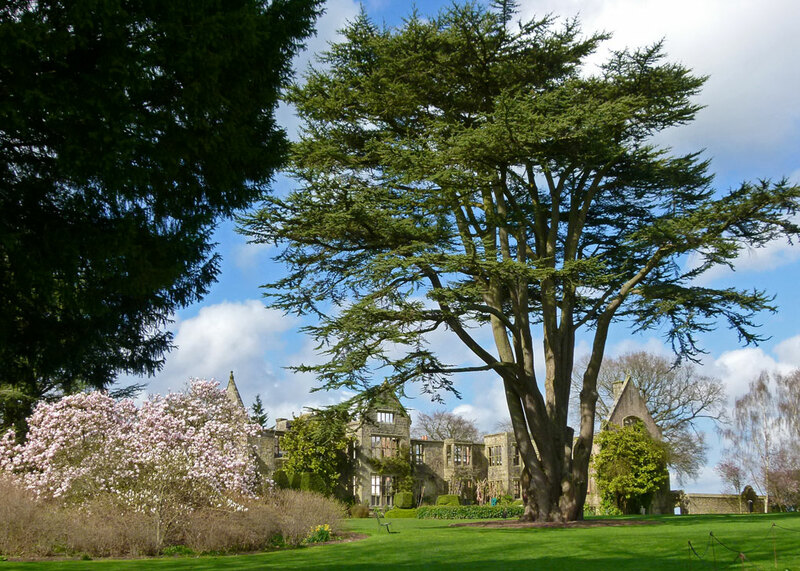 Leonard died in 1953 and Nymans passed into the care of the National Trust. Maud died in 1960. When I first visited Nymans, it was not possible to enter the house. Anne, the Countess of Rosse, moved back to Nymans as a widow in 1979, occupying surviving ground floor rooms, which she called ‘my potting shed’. She died there in 1992 and these rooms are now open to the public. They are surprisingly modest, with a curiously Tudor-like feel, yet light and homely. Furnished with a mixture of antiques and memorabilia, they provide an apartment I’d certainly be quite comfortable in – particularly with the gardens just outside the door. My most recent visit was in early spring 2017. The gardens were not at their best and I’m guessing they’d be better from May onward. Even so, Nymans is lovely to just bumble about in. 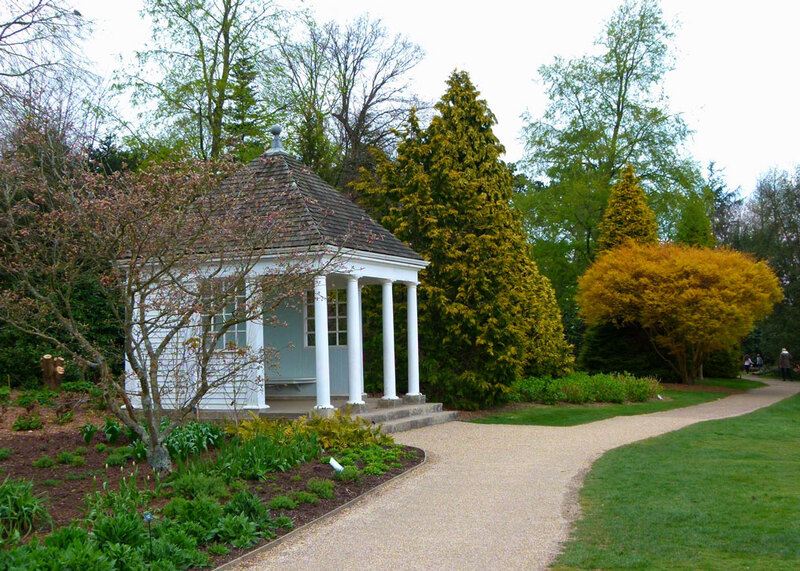 There is the usual National Trust café – quite an extensive one, including considerable outside seating – plus what they euphemistically call ‘a plant centre’ – more like a small market. But, once you’re past that, on a warm spring or summer’s day, Nymans is sublime. What with the interesting history, and those absolutely fabulous gardens, must add it to this years list! Very interesting history Mike. With gorgeous gardens, serene sitting room, a motorway and airport on the doorstep, I could happily move in. You’ve added another must-see location. Such an interesting history, but the grounds are what really fascinate me. I could wander there for days. You set me thinking about Princess Margaret again. I know she’s gone, but will have to look up Snowden to see what happened to him after that divorce. That’s the trouble – it’s so easy to start with one story and end up following others! 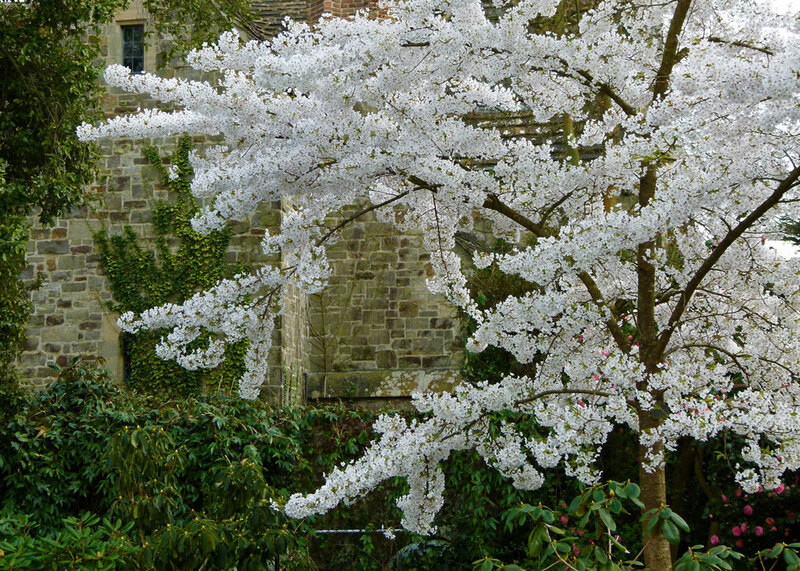 What lovely gardens surround Nymans – it is somewhere I have never visited, but your images of the Spring flowers and its interesting history make it most appealing. It is a few years since I visited Nyman’s. I was there on a dull Summer’s day. Your photos have shown me I need to return during the Spring to see it at its best. Your photographs made me want to go there immediately! 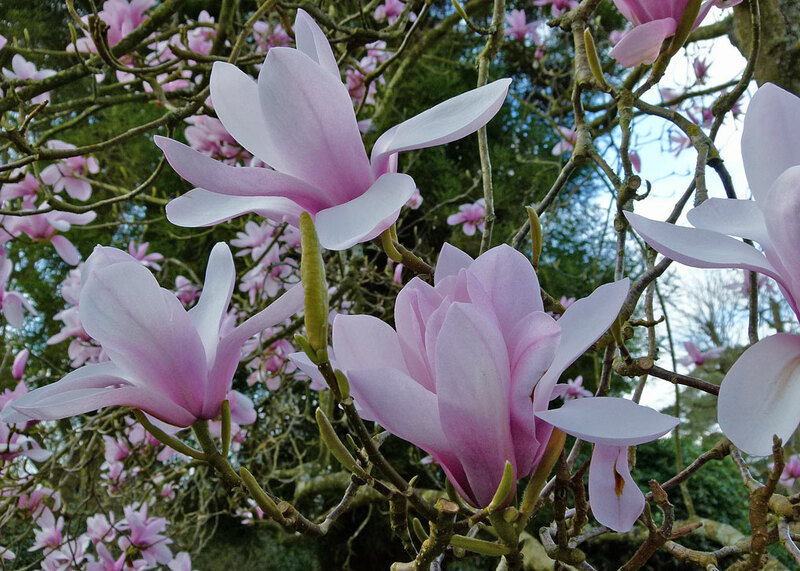 But of course it would have to be spring or early summer to see the magnolias and wisteria at their best. Thank-you for another well researched and very interesting post, Mike. I have Spring Fever .. this looks lovely! The blooms are enchanting and the bookshelves in the “potting shed” had me drooling over my keyboard. I love that you added a map at the end to locate Nymans, as I usually always check where the places you write about are. I now include a map with most articles, Magali, and am going back adding maps to previous ones. Phew! I’d love to visit here, lovely photos. It interests me that Rudolph went back to Hesse to serve as a stretcher-bearer in the Franco-Prussian War of 1870-71. At the very same time, Frenchmen like Monet and Pissarro were escaping to England as soon as they could. How quickly things change. Forty years later, in WW1, Ludwig’s son Leonard was barred from active service, presumably because of his German ancestry. How lovely, Mike. Well documented and superbly photographed. It also demonstrates that Anthony Armstrong-Jones wasn’t that much of a commoner :). Jackie, who knew it well, was not aware the ground floor was now open to the public. I’ve never been, so perhaps we might get there. Jackie will know there are loads of places to visit in the area, Derrick. It’s sad to say that after living in Reigate with parents there for 30 years I did not know anything about this N.T. property almost on the doorstep. I have a lot to learn about England. Usual top flight photos and story. Thank you. You used to live in Reigate? Small world – I used to live in the area too. Another fascinating post with great pictures. It made the perfect breakfast read for me this morning. Those pictures of magnolia and other spring flowers make me soooo want spring – not the freezing cold we have been experiencing for the past weeks! I enjoyed the family history behind the gardens. 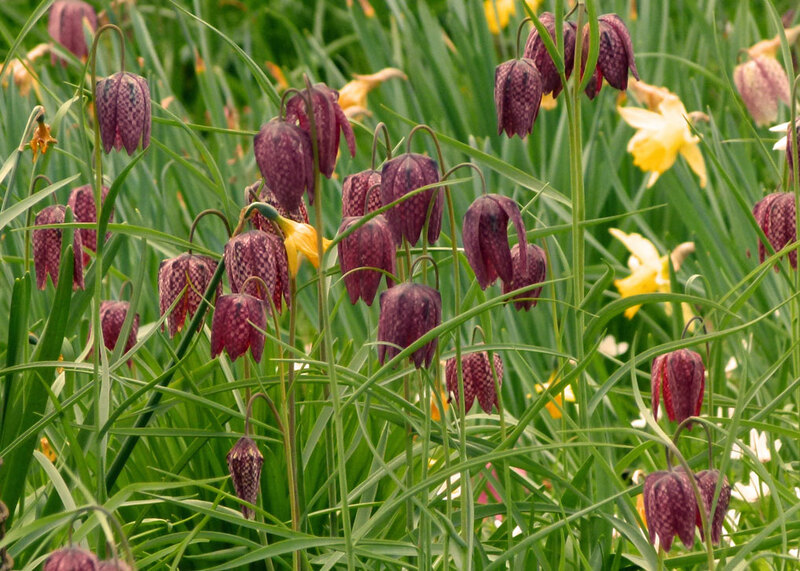 Do fritillaries get you anywhere?! Nymans is not a place I have visited, it looks interesting and the gardens are lovely. I enjoyed reading about the history of the family. Thanks, looks like my sort of place to visit. I love gardens, but combined with that library- yes, please! Interesting post, we once lived in Darmstadt. Thanks for the thoughtful message you left on my blog, it was much appreciated. Such fascinating history and those gardens are splendid. I have Magnolia ‘Leonard Messel’. Doing well after an exceedingly slow start. 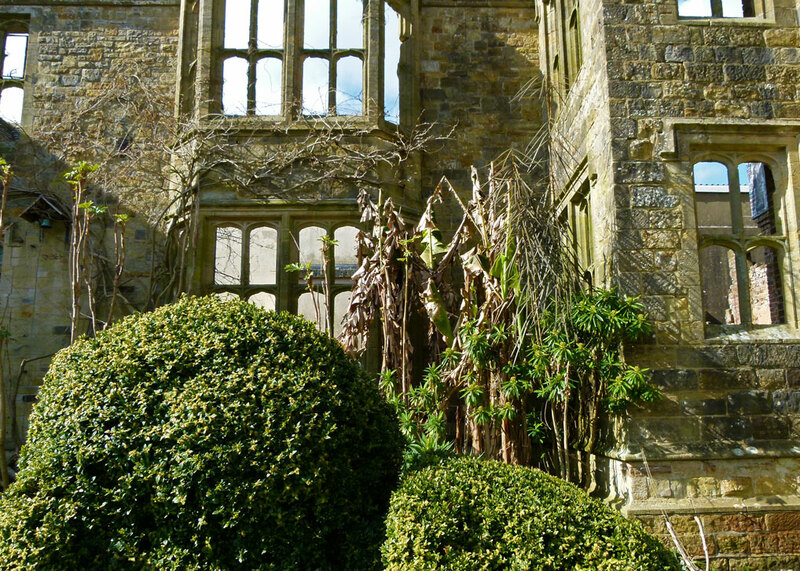 Good to read more about their history and to add Nymans to the ever lengthening list. Well, I thought I’d commented here, but I actually went to the map to see where this spot was in the scheme of England (yes, planning, planning) and got down that rabbit hole! So I’m back. Another very fascinating post. Quite the family history, isn’t it? I’m rather fond of that interior. I could move in there in a heartbeat. But oh! The gardens are splendid. And what fun it would be to see them in prime season! Thank you! I haven’t heard of it before, but what lovely gardens! I was fooled. I thought it was a West Country manor house. The grounds look very impressive. 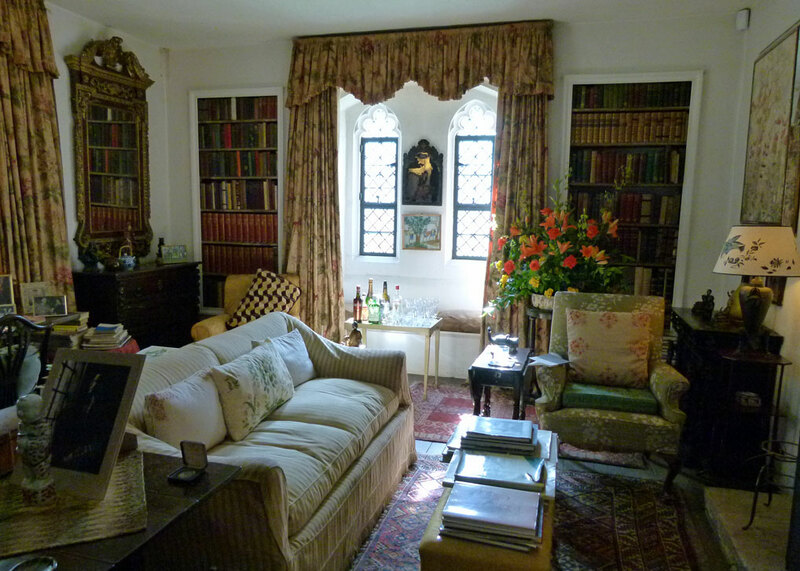 Thank you for a delightful tour/history of this beautiful property…I just love Britain! I love the old TV in the Countess of Rosse’s apartment. 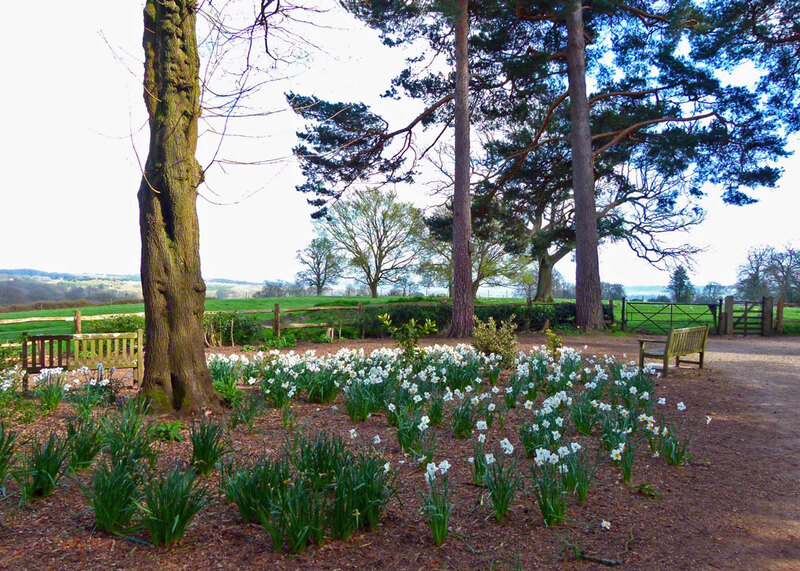 Beautiful grounds…. Anther fascinating post accompanied by some gorgeous photography; thank you Mike. The Earls of Rosse have their familyseaat not far from here, in the town of Birr. Whilst your crowd were involved in finance, the 6th Earl’s ancestors were busy making use of the world’s largest telescope in the grounds of Birr Castle, producing the first ever photographs of nebulae. They went on to invent the steam turbine and founded Parsons.